Over the weekend the Robin Williams memorial character came up on Twitter. 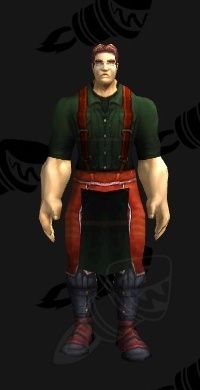 Personally, I think their revealed model is a bit Uldum, but maybe he can make a special appearance somewhere else in the game. From the conversation, it came up that this NPC should have something to share from his immense filmography. Me, spinner of tangled webs, thought at first that that this Genie, should pass out a nice flying carpet mount. Having only a single tailor, I thought it would be awesome if this was a non-tailor specific mount. They already have the model, but could color this one differently than the 2 already in game. Sadly, I didn't think this would happen. As with the last celebrity in-game character (Mr. T and his mohawk grenade) it was a short-term item. I felt if Blizzard added this mount it would probably be treated more like Halloween and the flying broom. There for a week, then gone. This got me thinking, how about a pet. Blizzard seems to love pets. Pets are everywhere and everyone can have hundreds of them. How about a "carpet" theme'd pet? I personally love the looping animation of the "spirit of" dragonkin. How about a mini-carpet pet that does flips randomly as he is flying around you? This morning, I started thinking, hmm, genie needs a lamp. Maybe a mini-quest, or maybe sitting right near him. I'd love to make interacting with this lamp (mouseover and little gear pops up) do something like Mr. T's did. 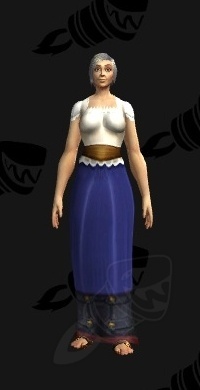 I was thinking about costume changes like the Blingbot, but they'd be the other 'Robin' models that WoWHead data mined. As with the 'Dressed to Kill' buff, it would only stick around 2-hours or until your first death. Long shot ideas for Genie. He sells a new tailoring pattern for a flying carpet that's BOE. Genie has a monkey pet for sale, that wears a little hat. Genie quotes various one-liners from various movies. Something else that uses trademarked material directly from the movies..
As a memorial for a comedian, there is a lot of material that could be covered. I think Blizzard's choice on "Genie" model versus Mork, Patch Adams, or Adrian (Good Morning Vietname), etc. is a great choice. They will have a ton of PG material to work from and hopefully not get in trouble with Disney.